The year 2012 should have been one of great triumph for Savannah’s Baroness. Having put out two celebrated long-play sets through Relapse, the then-trio delivered the rock record of the year with July’s Yellow & Green, a multi-faceted double-disc delight that never once lost its intense focus. I was immediately smitten, more so than I’d been with any of the act’s previous offerings. Here was colourful metal finding a defiantly progressive groove without descending into distracting self-indulgence; a band that knew its audience but wanted to test it, too, while nudging the door open for fresh fans. Yellow & Green instantly became its makers’ highest-charting album yet, going top 30 stateside. The stage was set. And then disaster struck. Less than a month after the release of Yellow & Green, the band’s tour bus crashed near Bath, England. Frontman and sleeve artist John Baizley broke an arm and a leg, drummer Allen Blickle and bassist Matt Maggioni both fractured vertebrae, and six further passengers suffered injuries. But rather than curse what might have been and call time on the band, Baizley was determined for the accident to not spell the end of Baroness. He recovered, which was no mean feat given that doctors were initially uncertain that they could save his arm at all. He began to play again, in part motivated by a hospital call from Metallica’s James Hetfield, who went through the tragedy of losing a bandmate in a bus accident in the Eighties. If Metallica could come through that, Baizley reasoned, so could Baroness. And how. But don’t come to Purple expecting a compact sequel to Yellow & Green – this collection runs to just ten tracks, versus its predecessor’s 18 – as both in lyrical tone and compositional tangents, this record is one of rebirth rather than repetition. It’s not without elements immediately identifiable as the work of Baroness – Baizely’s inimitable not-quite-sung but most definitely felt vocals, powerfully delivered but resonating with a vulnerability quite unique in the genre; Iraq War veteran Pete Adams’ wandering lead guitar, which explores the extremities of each and every cut but always finds its way back to a fulcrum-like point of maximum impact – but this is categorically the product of a new band at play. It’s natural that the songs here would refer to the events of August 2012 – in ‘Shock Me’, Baizley speaks of “a great calamity” and “a deep well of despair [that] I found the day my dreams came true”, and later, on ‘Chlorine & Wine’, we’re right there with him in the hospital: “…she cuts through my ribcage, and pushes the pills deep in my eyes.” But there’s great optimism here, too, and it’s that spirit that comprises the memorable take-away from a cursory listen, before the various textures have found their own space to bloom amid the mixes. 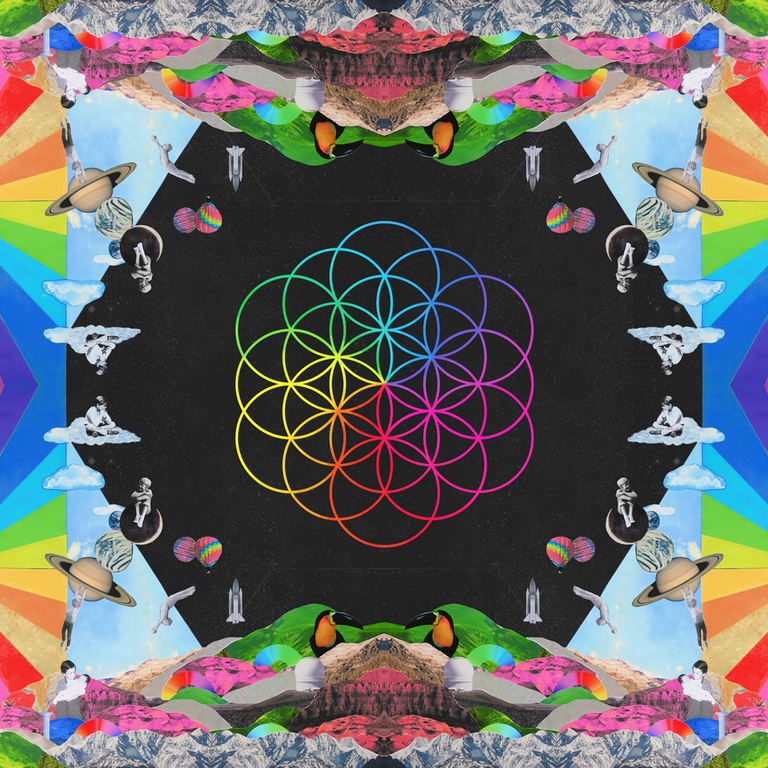 You’d never go so far as to say this is a happy record, but there’s plenty of intact hopes and dreams stirred amid the spilled blood and broken bones. ‘If I Have To Wake Up (Would You Stop The Rain?) is the black clouds parting, beams of brilliant light pointing the way forward again – it quite literally sounds the bells of a revitalised Baroness. And this has come about in a couple of ways. Firstly, personnel wise, things have changed. This isn’t exactly uncommon in Baroness, though, with Baizley the sole original member remaining, but co-founder Blickle’s decision to depart the group after the bus accident could have really have shaken the dynamic up in a negative manner. But his replacement, Trans Am man Sebastian Thomson, couldn’t be more perfect – singular of style but equally pulverising of punch, he arrived recommended by Mastodon’s Brann Dailor and doesn’t once disappoint. New bassist Nick Jost underpins the mazy runs of Adams’ guitar with uncomplicated prowess, and his keyboard work can’t pass without compliment, finding space to flourish in the spaces between the stringed melodies – ‘Shock Me’ wouldn’t sound so full without it, and the intermission instrumental ‘Fugue’ benefits greatly from the newcomer’s jazz background. 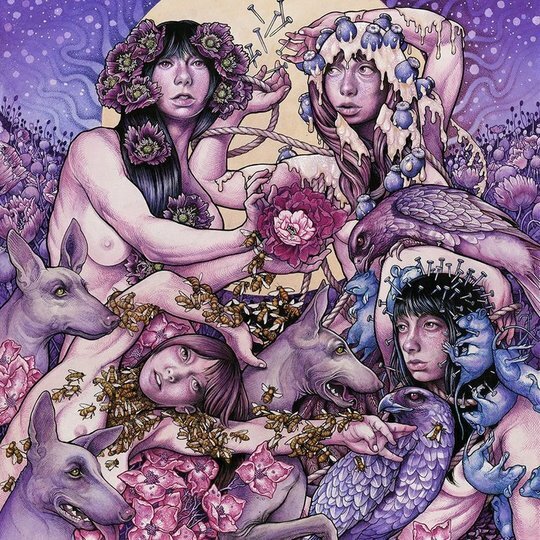 Secondly, having recorded with The Paper Chase’s John Congleton (also behind records by St Vincent and Modest Mouse) for their past two albums, Baroness have called upon someone well known to indie fans the world over to produce Purple. Dave Fridmann brings all the experience he’s built up across 25 years of working with the likes of The Flaming Lips, MGMT and Mercury Rev to ensure that the more psychedelic leanings of this set aren’t buried by the band’s familiar thunder. (Do listen for the pronounced Pink Floyd shout-out.) It mightn’t possess the brute strength of those Relapse releases, Red and Blue, but there’s a greater balance between aggression and introspection to these songs that almost certainly can be credited to Fridmann’s involvement. Which absolutely doesn’t mean that the terrific tumult’s been torn from the equation: ‘Try To Disappear’ absolutely rockets from its blocks and doesn’t stop until it’s smashed through a dozen brick walls, and ‘Kerosene’ is a minor epic that contorts its shape enough times across its five minutes to represent inspiration for a lesser band’s entire catalogue. Hand on heart, Purple’s not as essential as Yellow & Green was – that said set remains for anyone who claims an affection for rock music with as much in the way of brains as it has brawn. But how could it be, given the situations that preceded its production and release? With those unbelievable obstacles considered, and what might have been obliterated by the reality of this quite wonderful record, there’s no doubting that Purple is a certifiable triumph. But forgive me my own indulgence for a moment, as while this is a beyond-commendable comeback, so much better than it probably has any right to be, more than anything else it’s whet my insatiable appetite for what this newly assembled team can create next, having learned from this process and grown, again. I’d love for it to be an evolution as Yellow & Green was to Blue, but whatever the future holds for this band of survivors, you can bet it’ll never be black and white.